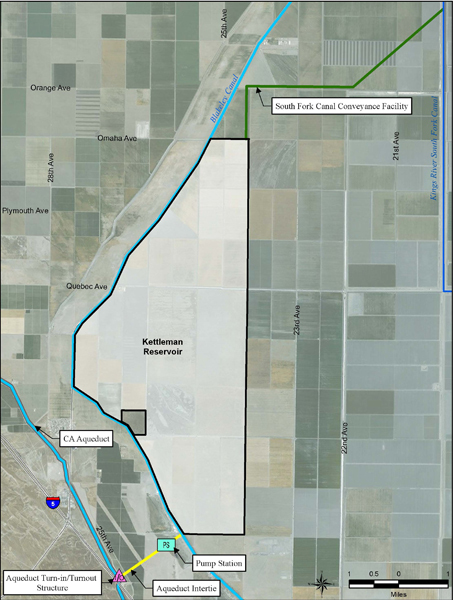 The Proposed Project will construct new south-of-Delta storage and conveyance features in the historic Tulare Lake and expand groundwater banking programs in Kern County. Tulare Lake is the receiving area for the Kings, Kaweah, and Tule watersheds, and was once the largest freshwater lake west of the Mississippi. The Project will capture and store floodwaters from the Tulare Lake Basin to meet local Semitropic demands, mitigate groundwater overdraft and support the Delta. The Project will also capture and store surplus Delta flows for recovery and use during dry periods for the benefit of the Delta ecosystem. The banking recharge and recovery capacity for these water supplies will be created through buildout of the Stored Water Recovery Unit of the Semitropic Groundwater Bank. 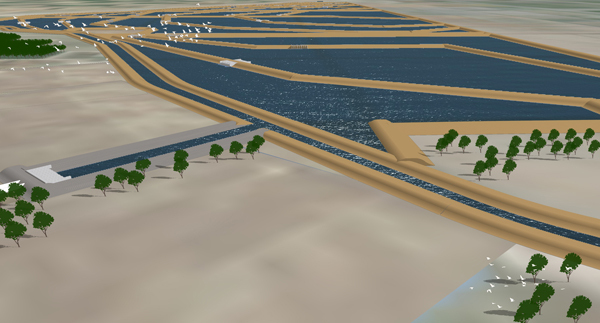 The new Kettlemen Storage Facility at Tulare Lake creates an estimated 15,000 to 30,000 acre feet of storage to manage and regulate Tulare Lake Basin floodwater and surplus Delta flows into the Semitropic Groundwater Bank. 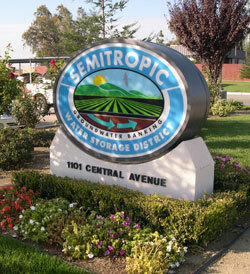 In case of an emergency, or for after-hours service, call (661) 758-5115.